Not a deal breaker, but I was hoping it would be $300 or less, even if it was an 8GB. I will be getting my iPad Mini very soon! FAR too expensive! My refurb iPad 2 32G barely cost $400 and the screen is obviously much larger. 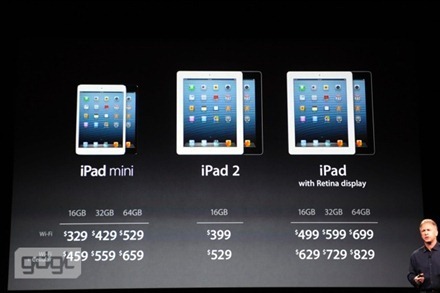 I already have a Kindle, so I definitely don’t need or want an iPad mini until the price comes way down.